Shake all ingredients well together with ice. Strain into a martini glass. 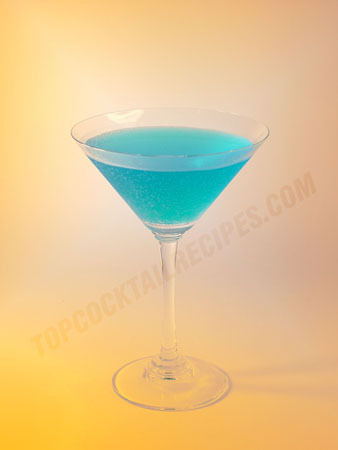 Use blue maraschino cherries or several blueberries. Alternatively drop in the classic olive.